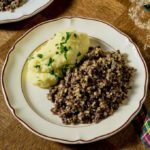 What happens when history, religion and cooking come together? It’s simple! King cake was born to celebrate Epiphany and in Spain, it is called roscón de reyes (or rosca de reyes) and it is similar to king cake in New Orleans. Roscón means “cake in the shape of a crown” and de reyes means “kings”, which gives us “crown of the kings”. Once upon a time, there were three Magi, Melchior, Gaspar and Balthazar. Three kings who, on the day of Epiphany, delight all Spanish children. Indeed, all over Spain, it is not usually Santa who makes the children’s eyes shine by offering gifts, but it is rather the Magi, to whom all the Spanish children write their letters of wishes. In the Spanish tradition, the Magi bring their gifts on the night of January 5th to 6th, the Epiphany. And so it is on this special day that the famous roscón de reyes, also known as rosca de reyes in Latin America, is enjoyed. 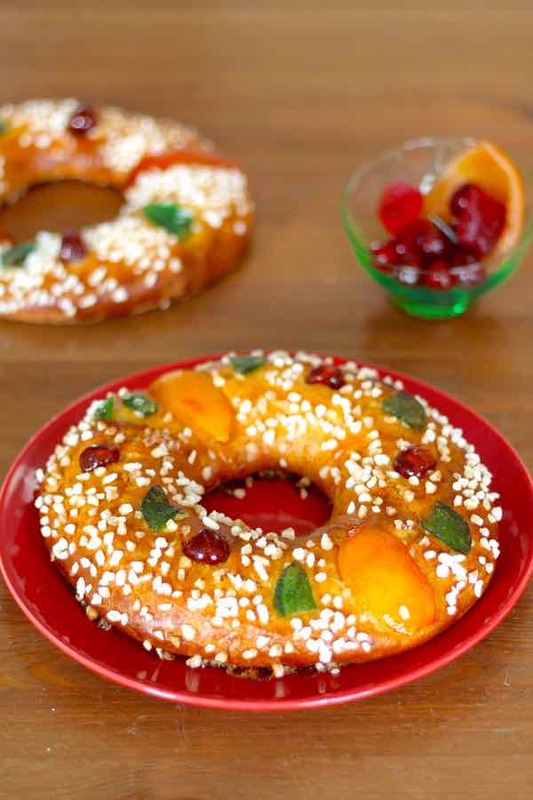 Roscon de reyes is also eaten at Christmas. Christmas is the ultimate Christian holiday. But the Christians did not invent anything, they resumed a so-called pagan festival that already existed in ancient times. It was called the Saturnalia, and it celebrated the winter solstice, the shortest day of the year. It is from this date that the days lengthen, marking the rebirth of the seasons, a symbolic time resumed by the Christians with the birth of Christ. Many pagan traditions over time eventually joined the religious court celebrations, so the origin of all the king cakes seems to be related to these Roman Saturnalia. The period of Saturnalia was a time of celebration and rejoicing during which slaves or death row prisoners were exempted from all hard labor and could spend these days in a relaxed and fun way. 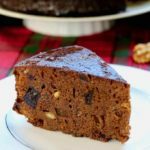 Among the many dishes prepared for such a celebration, there was a cake made of honey, stuffed with nuts, dates and figs. Inside this cake was introduced a dry bean, and whoever had the chance to find it was named king. This dessert has become one of the most popular desserts during the celebration of the “Slave Festival”, another name for this celebration. Why did this cake, served during the Saturnalia, contain a bean inside? What are the origins of this bean that we find inside all these king cakes throughout the world? The election of a king or a winner goes back at least to these Roman Saturnalia. In the form of a reward, this dry bean inside symbolized luck and prosperity. The slave or the death sentence prisoner who was lucky enough to find it, received all the respect and the luxuries worthy of a king. Later, during the High Middle Ages, in the same season, it was “the feast of fools”. For a day, the servants became masters and the masters became servants: the traditional values ​​of society were reversed and religion ridiculed. The “king of the party” was the one who found the bean in a cake. Originally, people used a dry bean or dry bean seeds. As this custom and the feast of the Epiphany evolved and became more and more important, the bean turned into a silver or gold coin that was hidden in the cake. It was in 1870 that the porcelain trinkets appeared. Today, there are often plastic trinkets representing cartoon heroes to seduce the youngest. Roscón de reyes is the ultimate king cake in all Spanish houses but also in other countries in Latin America like Mexico, Colombia, Uruguay, and Argentina, where it was imported. Mexican rosca de reyes is registered in the Inventory of Intangible Cultural Heritage in France. Indeed, if the traditions related to the king cake are traditional of Mexico, they were brought back to France by the Mexicans living in Paris and other big cities. Roscón de reyes, whose shape is round with a big hole in the center, symbolizes the crown of the Magi, while all the colorful candied fruits symbolize the precious stones that adorn the crown. This crown of kings takes other names in some countries or regions. 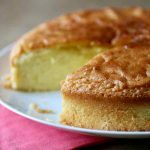 For example, pogne (or pogne de Romans) is a brioche from the south-east of France, in the shape of a crown, prepared with flour, eggs and butter and perfumed with orange blossom water. 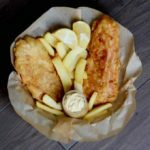 It is a specialty of the city of Romans-sur-Isère, in the Drôme. 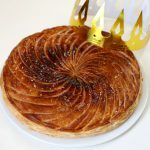 In Catalonia, king cake is called tortell in Catalan or reiaume or corona dels reis (crown of kings) in Occitan. 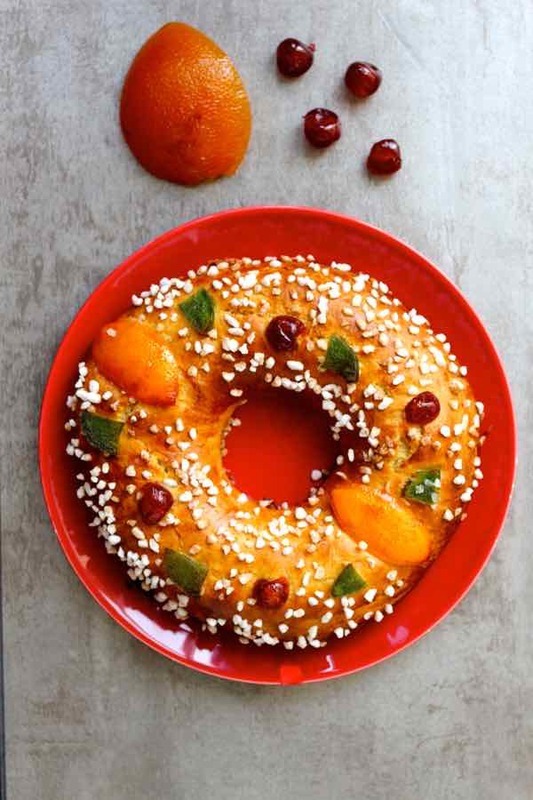 It is a typical O-shaped Catalan and Occitan pastry, usually stuffed with marzipan or whipped cream and topped with candied fruits. 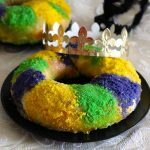 In the United States, a similar tradition exists in New Orleans with the king cake that I had the pleasure to prepare… But the king cake is consumed during Mardi Gras. It is also prepared in Portugal where it is called bolo rei. 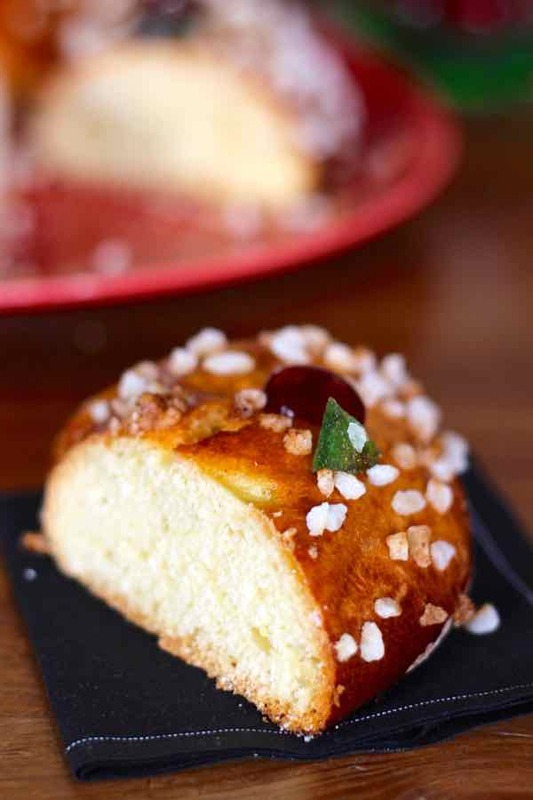 A very similar brioche is also prepared for Easter and it is then called rosco de pascua. Rosca de pascua is actually baked with whole eggs on top. A less fancy version is called folar da pascoa. 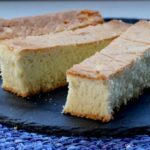 As far as the technical part is concerned, it is definitely not the first recipe for brioche or brioche loaf that I shared with you on 196 flavors. 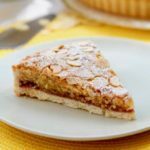 To name just one, you should check out the Alsatian mannala or the French tarte tropézienne, the Estonian kringel, the Danish varme hveder, the Italian focaccia, and many others. I love dough… and not the dough you’re thinking about! You know everything about my love story with yeast dough and I even offer you today our second book that features breads from all around the world to welcome you to our world of breads! 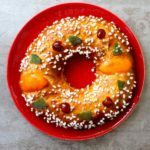 I prepared this rosca of reyes recipe for Mike’s visit to Paris, and we tasted it with the whole family. Everyone loved it! 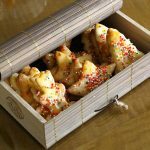 Roscon de reyes also known as the crown of kings is a Spanish broche with Mediterranean flavors prepared in honor of the feast of Epiphany. 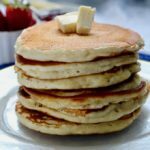 Dissolve 1 tablespoon of sugar and yeast in warm milk. Cover and set aside for 30 minutes in a warm place until foam forms on the surface. Mix the flour with the citrus zests, the remaining sugar and the diluted yeast. Then add the softened butter, egg yolks, rum, and orange blossom water. Knead for 3 minutes. Stir in the salt and knead until the dough comes off the sides of the bowl. If the dough really looks too sticky, adjust by adding very little flour at a time. The softer and stickier the dough is, the softer and airy the brioche will be. The dough must absolutely not be compact. Cover the dough and allow it to rise in a warm, dry place, away from drafts for 3 hours. The dough must have at least doubled in volume. On a work surface, degas the dough for less than a minute. 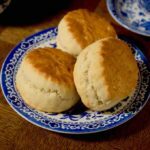 Divide the dough into three pieces and form three crowns with a large hole in the center. Place the wreaths on a baking sheet lined with parchment paper. Cover the dough with a cloth and let it rise again in a warm and dry place, away from drafts for 45 minutes. The crowns must double in volume. Mix the egg yolk and the milk, and brush the whole roscon of reyes. Decorate with candied fruits and pearl sugar. Really cool. love you pulling in other cultures. This is a lovely sweet bread and I loved the story behind it! I made this for our Reyes. 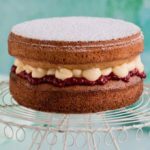 Next year I will try using cake flour. Great, Susana! I hope you enjoyed it.